About 60 million Nigerians now make use of broadband internet, according to professor Umaru Danbatta, executive vice-chairman of the Nigerian Communications Commission. Danbatta was speaking during a National Broadband Plan conference organised by the Association of Telecommunications Companies in Abuja last week. The TV white space, which refers to the broadcasting frequencies in the wireless spectrum that are not being used, will soon be utilised to strengthen the nation’s broadband penetration. 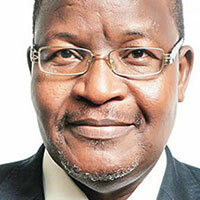 Danbatta said this is being made possible by the telecommunications regulatory agency and the NCC. According to Tech Republic, the spread of broadband is possible as a result of the gaps left by TV networks, which is similar to what is used for 4G. Danbatta claimed that even though the rate at which broadband has penetrated the nation has increased in the past five years, broadband coverage in rural communities is quite low since they still use 2G networks. “The implementation of the commission’s road map has resulted in the attainment of 30.9% broadband penetration as of November 2018,” he said.